Every year significant people in the recovery community are honored for the role in helping people recover from addiction. The 2013 America Honors Recovery Awards were presented to leaders in the recovery community on June 26, 2013. While there are countless people who contribute to the success of people trying to recover, there are some who stand out as pillars in the community. America Honors Recovery is the addiction recovery community’s annual awards event, recognizing the more than 20 million Americans in recovery and recovery community organizations who help countless people recover. 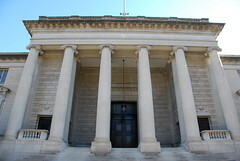 The awards were held at the Carnegie Institution for Science in Washington, D.C.